“Tricks of the Trade” For State-of-the-Art HVAC Design on Construction Jobs of Any Size! This fully revised, industry-standard handbook presents a wealth of HVAC design information encompassing all types of facilities―from offices and hospitals to commercial spaces and computer rooms. Written in an outline format for ease of use, this practical reference offers hundreds of field-tested equations and rules of thumb and features all-new coverage of the latest building components and materials. 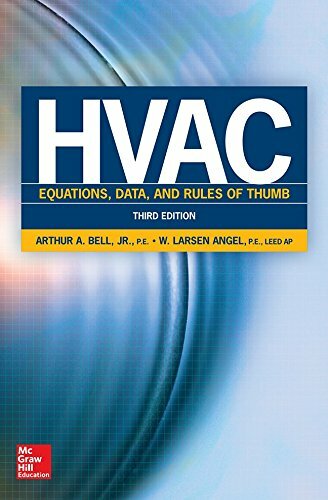 HVAC Equations, Data, and Rules of Thumb, Third Edition, reflects all the latest changes to the codes and standards used in the industry―including ASHRAE, ICC, NEC, and NFPA―and clearly shows how to interpret and put them to use.